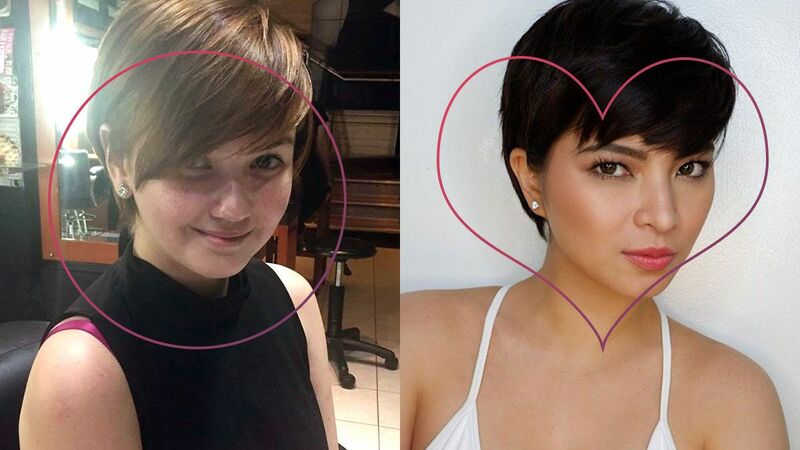 If you're feeling hot, it's time to give your hair a drastic chop! Yes, getting a pixie cut is a huge beauty risk. But it's something you might want to consider in this humid af weather, if not for style's sake. Imagine: You'll have less hairfall, you won't have to shop for shampoo and conditioner every two weeks, and you'll keep styling products to a minimum. As with any other cut for round face shapes, texture is key to bring out the contours of your face. We also recommend parting your hair to the side to give it a more angular shape! Lucky girl! This means you can be experimental with your look like Katy Perry. Or you can always opt for something more low-key and simple. It's up to you because in the end, it'll still look good. Because of your angular face, make sure the cut is piecey enough to help balance out your stronger jaw. Bangs will make your new 'do stand out, but if you don't want to get them, a longer cut in front and a shorter one at the back will make for one flattering style! You can go for a cut that's similar to those that would work on a round face, but make sure you have a ton of volume on top to avoid it looking flat and dull.